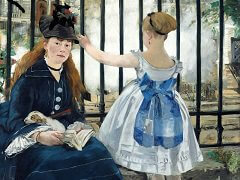 Edouard Manet is considered an important figure in the transition from Realistic to Impressionistic art. 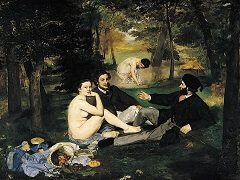 He was also one of the first nineteenth-century artists to approach painting modern-life subjects. 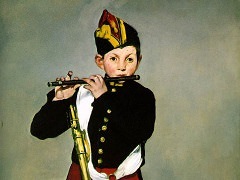 Manet's subjects of painting were often controversial, but are now revered for the way in which he portrayed real life, using impressionistic methods of painting. Using the alla prima style, he painted with oils in a direct and expressive style, capturing the moment. It is suggested that the inspiration for the painting Nana, came from the French novelist Emile Zola's book L'Assommoir, the seventh novel of a twenty-one volume series called Les Rougon-Macquart. Zola's novels explored poverty and alcoholism in the working-class of Paris, during the nineteenth century. The model for the precociously immoral Nana, was a Parisian mistress named Henriette Hauser. 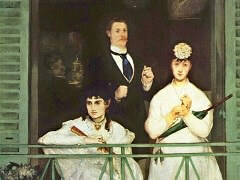 Nana was a common term used in the nineteenth century, for a lady of the evening. Nana depicts a young, beautiful woman, who is standing in front of a mirror. Her dress is incomplete in that she is wearing a short, sleeveless bodice, a slip, silk stockings, and high-heeled shoes. 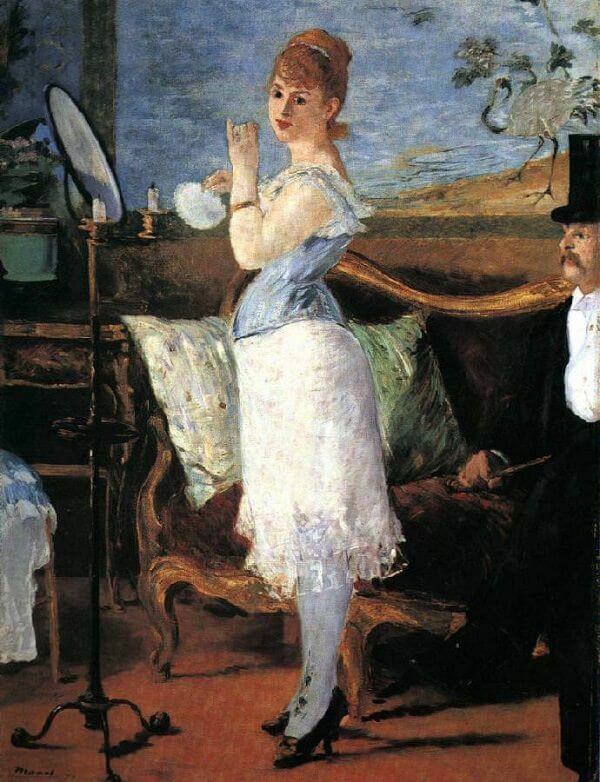 The decor of the room suggests a boudoir, and behind the woman is a settee, with a gentleman caller seated, who is dressed very elegantly with a top hat, is staring at her as she is turned to face the viewer. The title and visual depiction suggest that the subject is an upper-class courtesan or prostitute. Painting a picture with a courtesan being more important than a gentleman, was not accepted readily in the nineteenth century. 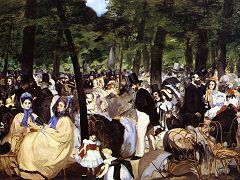 Manet's Nana was refused at the Salon of Paris, the official art exhibition of the Academie des Beaux-Arts, in Paris, in 1877, the year that it was completed. The subject matter was deemed controversial, and contemptuous of the morality of society at that time. 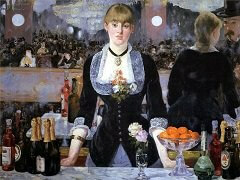 Emile Zola, defended Manet's painting, and soon after, published a novel entitled Nana as a ninth volume to his Les Rougon-Macquart series. 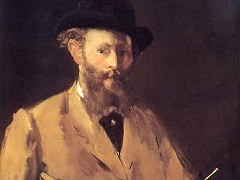 Manet is now heralded as an innovative influence for future artists, and his works mark the genius of modern art which he was central in introducing. Nana is displayed at the Kunsthalle Hamburg Art Museum in Germany today.